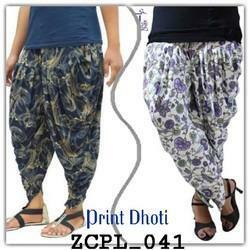 Prominent & Leading Manufacturer from Mumbai, we offer ladies dhoti, zadine sb polo pant with pocket, yellow cotton harem pants, white cotton harem pants, dark blue cotton harem pants and cotton harem pants. one of the foremost enterprises engaged in offering a wide assortment of superior quality of polo pant color and combination of the kurti and palazzo is so classy it is most have dress. Banking on our skilled and experienced professionals, we are involved in offering a trendy range of Yellow Cotton Harem Pants to our valuable customers. 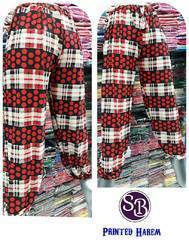 The range of offered products is designed using best quality fabrics which are obtained from the trusted vendors of the market. Extensively admired in the market, these products are available in various designs, and colors to meet the various choices of our customers. Our organization has come up with extensive and quality approved assortments of White Cotton Harem Pants to our prestigious clients. These products are eye-catchy in design. These offered ranges are designed using the only high-quality material. The offered collection of products is designed under the supervision of skilled designer. In addition to this, the cost of offered collections is also very affordable. 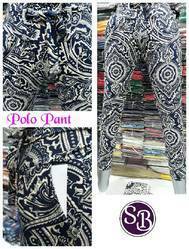 We are an organization in the anxious industry in offering an exclusive range of Dark Blue Cotton Harem Pants to our valuable clients. The offered range of products is admired for their attractive designs by our patrons. It is designed using best quality material and progressive technology machines. Apart from this, the best quality controller tests these pants before final delivery on parameters of quality. 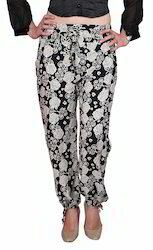 Being a well-known organization in the industry, we are offering a large assortment of Cotton Harem Pant to meet the needs of our huge clientele. These products are widely admired for their shrink resistance. Additionally, creative new thoughts are taken into consideration during the designing of these pants. 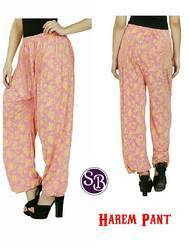 Our organization is well known in offering an extensive range of Harem Pant that is designed and fabricated as per the latest fashion trends. These products are offered by us in a huge range of patterns with different colors. In addition to this, these products are offered at the reasonable price within the committed frame of time. beautiful harem pant for woman elastic waiste made of very soft lycra fabric elegant summer clothing from india these pants can be worth contrasting tunic top. 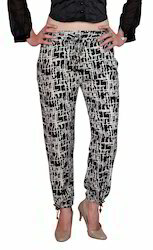 Looking for Harem Pants ?